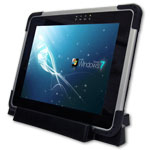 Winmate M970D is a Windows Embedded Standard 7-based rugged tablet pc using the 1.6GHz version of the Intel Atom N2600 processor. 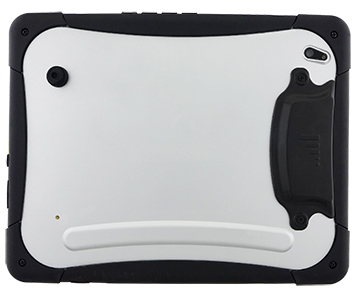 Now, M970D has an integrated 13.56Hz HF RFID reader for short reading distance, a tablet pc that we simply call M970D-HF. 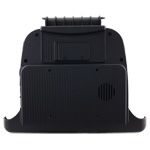 This makes the unit suitable for all sort of scanning or data collection process in wide range markets such as field service, logistic and warehouse or retail. While our earlier version of M970D did not have RFID installed, Winmate offers the M970D-HF, RFID versions snap onto the back side of the device, this 13.56MHz RFID reader supports ISO14443A/B and ISO15693. 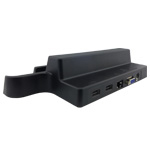 On the connectivity side, there is a docking connector, USB, and a combination LAN/HDMI port. For wireless there's 802.11b/g/n WiFi, Bluetooth, GPS, and optional 3G. There's also a single 2MP camera and the battery specs list 5,300Mah. 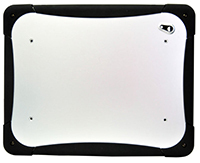 This 9.7" tablet PC can handle a drop from 4 feet to concrete and IP54 Standard against dust and water spray from all direction which is perfect for most business and field environmental use. M970D-HF is the perfect option for user who want a tougher tablet PC-- and one that looks elegant as well as fits right into most existing corporate infrastructures. 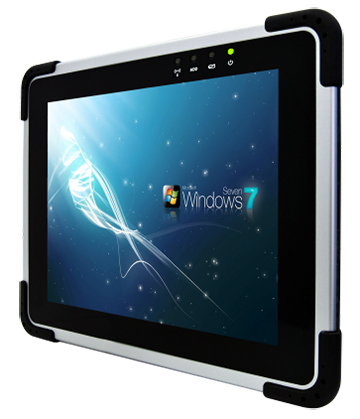 Bottom Line, M970D-HF with RFID comes in handy to have full Windows Embedded 7, making it a full-feature data capture device. If you are interested with the Winmate M970D-HF rugged tablet PC, please contact winmate sales (sales@winmate.com.tw) and our sales will refer you to our local distributors for sample ordering.